The Kumaipo Trail was used by the ancient Hawaiians to travel from Upper Wai`anae Valley to Upper Makaha Valley and to the Kaneaki Haiau lower in Makaha. The trail has been in constant use from days of old to the present. The Wai`anae Section is the most used and is it top shape and well defined. The section in Makha only gets used by pig hunters and is greatly overgrown in spots. Makaha Dan and I decided some time ago to reopen and mark the Makaha section. Today along with Emi we began at the Makaha Valley Towers around 8:15 a.m. Mary came along as far as the turn off from the BWS road. She then continued up the road to it's end while we followed the trail down and across Makaha stream and back up to the other BWS road behind the Heiau. We took our time taking in the beauty of the forest and what ever it had to offer. 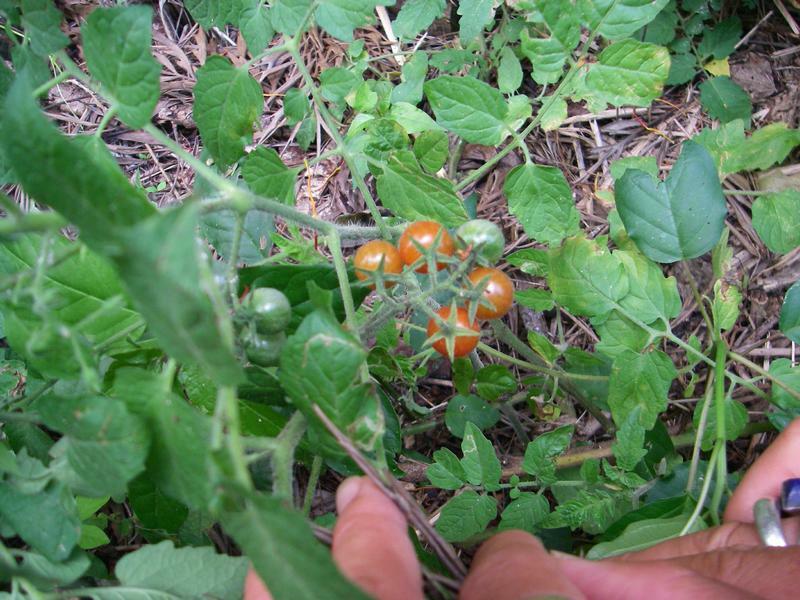 The birds "planted" cherry tomato vines along the road and we stopped to pick some when ripe. 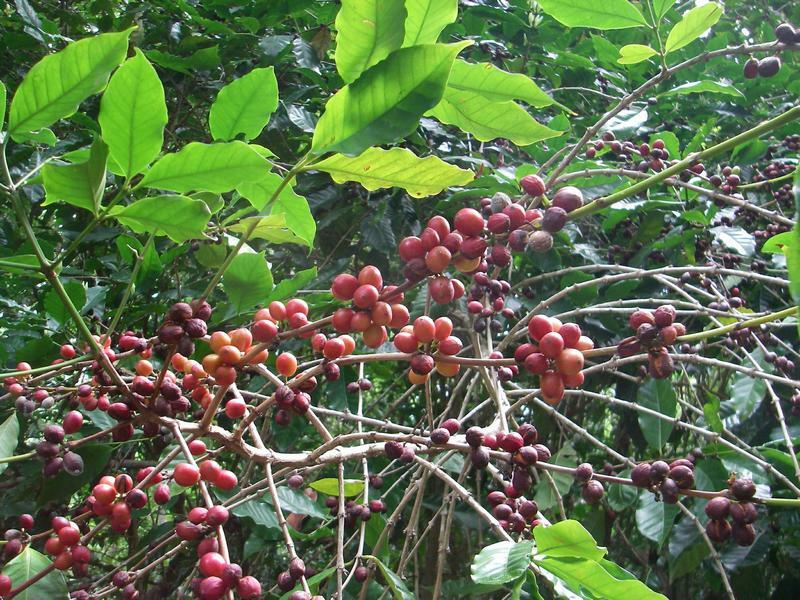 Coffee beans were beginning to ripen on the trees.